With Spring cleaning in full session, Absolute Property is offering Valparaiso, Indiana sealcoating service for any residential or commercial properties. We offer professional sealcoating applied by an expert staff dedicated to high quality pavement maintenance and improvement. Absolute only uses premium products for all of its work so you know that our work can handle the elements and remain beautiful for years to come. 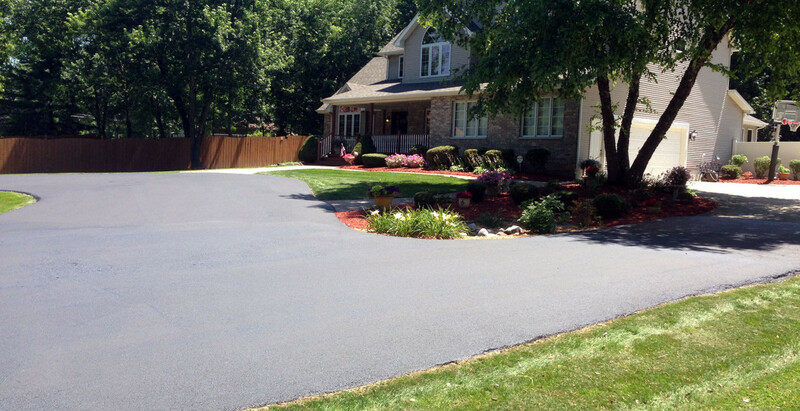 Beautify Your Drive Way With Absolute’s Sealcoating Service! Its time to repair all of those cracks and unwanted discoloration on your drive way or parking lot with professional grade sealcoating service. We have the skilled professionals to properly apply seal coating material and the right resources to do the job right, we guarantee it. Contact us today for a free estimate and remember that we offer landscaping service that can get your property looking gorgeous.